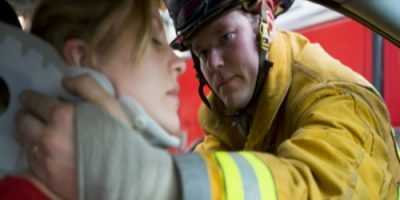 Following a car collision the most common diagnosis for back pain in Emergency Medicine and even in general medical practice is the sprain/strain diagnosis. A sprain is a diagnosis of a micro or macro tears of ligament tissue is called a sprain. A strain is a diagnosis of a micro or macro tears of muscle tissue and is called a strain. Sprains and strains can be graded based on how much of the muscle or ligament is torn. 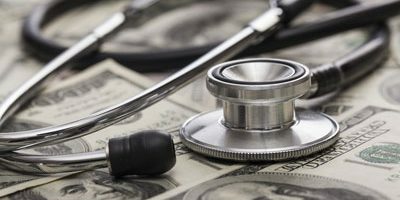 The American Medical Association takes Sprains very seriously and has given these sprains a grade. The ligament is mildly damaged slightly stretched but is capable of keeping your spinal joints stable and affords you normal function. A grade 2 sprain is defined as the ligament has been stretched to the point that the ligament becomes too loose and does not hold the spinal joints together causing spinal dysfunction called spinal ligament laxity. This condition is considered a partial tear of the ligament tissue and is considered permanent. The Grade 3 sprain is most commonly referred to as a complete tear of the ligament meaning the ligament has been split in two. This is the worst possible scenario for a spinal ligament because the grade 3 sprained ligament offers no support what so ever to the spinal joint or joints that it is anatomically associated with. Obviously the higher the grade the worse the damage. However a Grade 1 is still serious as ligament tissue has very poor blood supply that is only at the attachment of where the ligament attaches to the bone. This means that the ligaments just do not have the ability to repair and heal like a very vascular tissue such as muscular tissue. If you have a Grade 2 sprain or partial tear your damage is considered permanent because your ligament will not and does not have the ability to repair itself. Also your ligaments are supplied with special nerve endings that sends information to the supporting muscle tissues as to what is “going on” mechanically while you are in motion. These are called mechanoreceptors. My point being if you have a Grade 2 partial tear the ligament has been traumatically changed and this causes in correct nerve information to the surrounding muscles and spinal joints allowing a never ending spinal dysfunction called spinal ligament instability. The AMA further defines this dysfunction as “Alteration of Motion Segment Integrity” that carries up to a 25% whole person impairment according to the AMA Guides to Impairment. 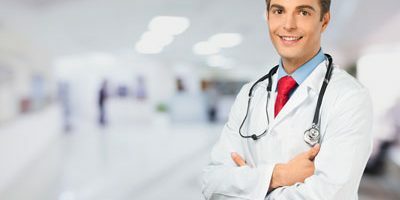 The definition of spinal instability is well established in the medical peer reviewed literature, and has been defined by White and Panjabi, who are considered world leading spinal bio mechanists. With all that stated you would think there would be a standardized protocol to “work up” and diagnose spinal ligament injuries, which are the most common cause for neck and back pain following car crashes wouldn’t you? 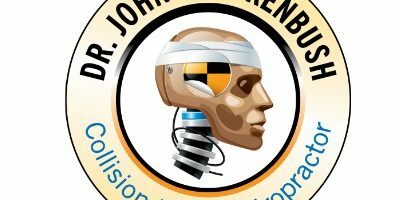 We screen and test every car collision victim for spinal ligament injury through computerized radiological measurement analysis. 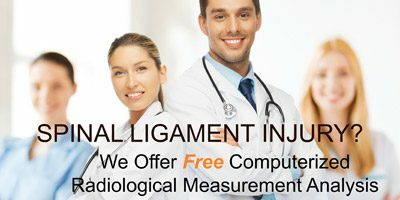 We do this by taking x-rays of your neck and back in specific positions and then these x-rays are measured by computer analysis as per the description in the AMA guides to Impairment. 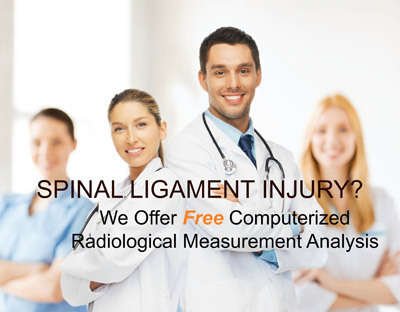 This testing CRMA is considered one of the most powerful diagnostic testing for Spinal Ligament Injury. Some Chiropractors and Radiologists consider CRMA as a better diagnostic test than eve MRI. CRMA improves diagnostic accuracy. CRMA helps to document injuries that are permanent and early detection of permanent injuries leads to better spinal dysfunction correction. 602-449-9430 fоr a same dау арроіntmеnt! !